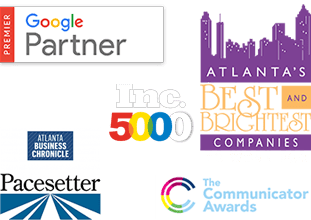 Originally a Bostonian, Greg Mize is currently the Digital Marketing Director for the Atlanta Braves. But, his experience in sports marketing didn’t start with the Braves. 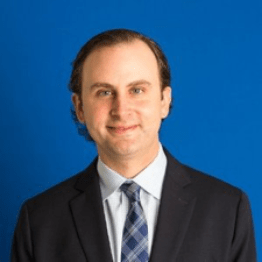 Greg originally moved to metro Atlanta for a role with Turner Broadcasting, who owned the digital rights to NASCAR. Prior to that, Greg worked in promoting the NBA. 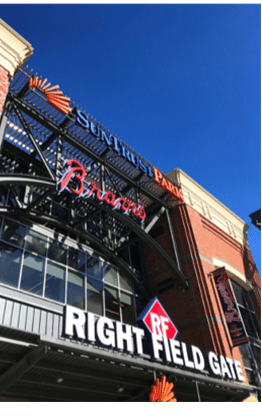 Greg Mize sat down with me to discuss some of the driving factors and strategy for the Atlanta Braves’ digital marketing. is that we’ve created a new revenue stream. We’re now in the real estate business. 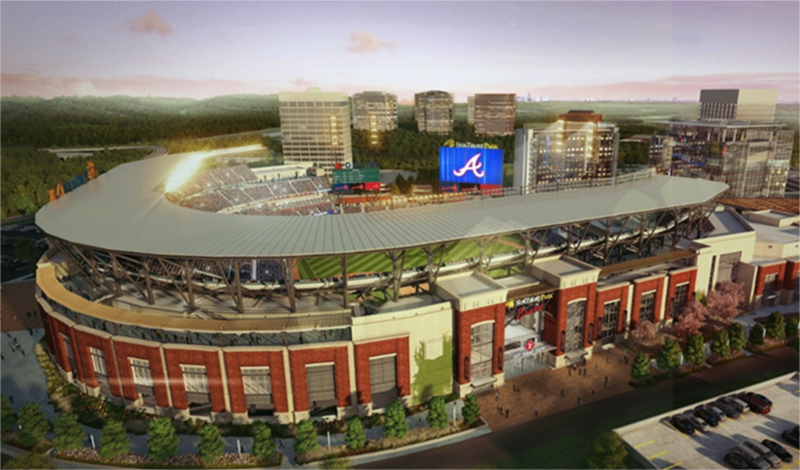 The Battery Atlanta includes the Braves’ new home, SunTrust Park. But, it’s much more than that. The development includes retail, restaurants, entertainment, and lodging. But, before we delve into discussing this new venue and the Braves’ digital marketing programs, I must first set the record on Greg’s sports team allegiances. Alex: Greg you’re from Boston? Please tell all of our fans here in Atlanta you’re not a Pats fan. Greg: Alex, I was raised on the notion of honesty is the best policy. With that in mind, yes. Alex: Well, I don’t want to dwell on that because this is a new year. Greg, let’s get into your background. You were in Boston and I assume to take the gig with Turner—Was the Turner/NASCAR gig here in Atlanta? Greg: Yes, The NASCAR gig was actually with Turner. At the time Turner owned digital rights to NASCAR. They had six racers during the summer on TNT. It was more of a working for the rights holder as oppose to the station in and of itself. Alex: What were some of the things that you were doing for NASCAR? Was is it similar to what you ended up doing to help promote the NBA or the Braves? Are there any similarities or is it just different—creative? Greg: It’s interesting in the sense that in that role, both NASCAR and with the NBA, as well as when’s it was working for the rights holder, which was Turner, your KPIs are a little bit different. Greg continues to explain Key Performance Indicators (KPIs), “As the broadcaster, or the digital rights holder, you’re clearly trying to drive engagement. That’s everything from individual content, social engagements obviously to the games and the races. So that’s really some of the core KPIs that a rights holder is measured against. Secondly, you have the brand. You have the lead, where you are setting the right direction really of who they are. It’s really incumbent upon the rights holder to embody that. I think a perfect example is what TNT does with the NBA specifically with Inside The NBA.” Inside the NBA is a program that airs on the TNT network. There’s a brand, there’s a direction and then it’s really up to the rights holder to communicate that.” Greg adds, “I think that is the biggest shift that I have in my roll now is that we’re defining the brand, we are the stewards of the brand. We are working with our rights holders to embody that. It’s a very different switch, one that quite candidly, I enjoy. Alex: When you’re working for Turner, your job is to drive, engage more awareness for the brands that you’re working on. But now as a Marketing Director for the Braves, what’s your KPI? — Are you measured on season ticket sales, individual ticket sales, what does that look like? Greg: Ultimately, I would say for vast majority of any professional sporting franchise the ticket revenue was one of your most controllable. You look at some of the other major revenue streams for a professional team you get the right deal, you’ve got your corporate partnerships, then obviously ticket sales and people and included in there are your revenues from concessions and parking. When you look at all of the different pockets that I referenced, there’s one that marketing does have the most influence over is ticket sales. Alex: Is it individual ticket sales? What do you guys look at in general? Do you wait for the season end, are you looking at month to month or to a ten game pack at home and then you say, “Listen, how are we doing against initiatives?” How long are your initiatives and then how do you guys measure? Greg: It really depends on where we are from a seasonality standpoint. You look at all the different ticket products that we have everything from an 81-game season ticket all the way down to a single game ticket. A single game ticket can be something that’s purchased months in advance. I’ve got my four seats to this weekend’s game last August. We’re very lucky that we have such a large marketing footprint, six states and several markets that we can work into. 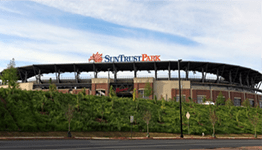 How we promote tickets for someone to come to a game would differ significantly if we’re talking to a fan in Chattanooga or Nashville than if we’re talking to a fan here in Atlanta. The reason for that is everything that goes into a ticket purchase. Whereas, I’m talking to someone who works right across the street, the lead time is a lot less formidable. The Ball play of saying that there are so many different ways that we slice, and dice things and it really comes down to two things, what the product is and then who the audience is, that really dictate our marketing tactics. The message has to be really targeted very specific to the audience that we’re reaching out to get and really start to understand your audiences. Alex: I’m sure you guys are doing a ton of research all the time to see what kinds of creative and messaging that buyers are responding to. Are you guys analyzing all of that in real time and getting all of that feedback to see what kind of creative works best? Greg: Yes, because that obviously helps with the next campaign. 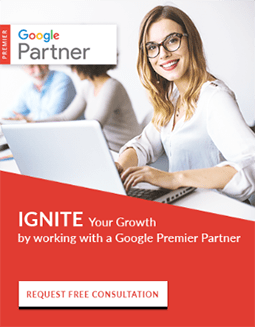 We also do a lot as it relates to improve sales because a buyer is usually one person, an organization, whether that’s a corporation, whether that’s a church group, any number of different groups that an individual could be organizing. They are coming to the game for a particular reason. We are always listening; we are always trying to understand fan’s needs; we are always trying to evolve. As the market may change as well, we constantly tell ourselves that we never want to hear, “We tried that before and it didn’t work.” Just because it didn’t work last year, two years ago, whenever, doesn’t mean we cannot dust it off and try it again. Maybe there are some other things, other layers we can add on to it whether it’s from a messaging standpoint, or creative stand point. We should always be prepared to continually play around with what works again. Keep an eye on that and what it is, turn it up a little bit more. Alex: Yes, I think you brought up a great point, I do not want it to be missed there, that just because something did not work in the past does not mean it won’t work again now. The way third party data segments are working and the innovations in social media and programmatic, they are becoming so much more sophisticated. So, Greg, how do you stay on top of all the innovations across all of these platforms? I bet when you started it was predominantly just Facebook, I bet Snapchat wasn’t a thing when you were starting. How are you keeping up? How do you stay ahead of the game? Greg: Having a really strong team or having an individual really homed in on what is happening on the digital side. Knowing what innovations are happening, what new players are coming to the game, how we can be part of that; we’ve got multiple people on the team who are contributing to content. We’ve got a creative team that is always playing around with what’s coming and they’re doing some cool and ground-breaking things. So, without a doubt, having a very dedicated team that understands the space and understands what we’re trying to accomplish and really looking at the intersections where those two come together. Alex: Let’s say that there’s marketers out there with one or two people on their team and they don’t have these great agencies to go to, is there another way they can keep up with industry trends? Greg: What I really encourage as the first thing is you have to understand your consumer. You have to understand who you’re marketing too, what you are marketing, and what your product is. Try to put yourself in their shoes and whether that is trying to really consume a lot of content. If you know that your audience are heavy users of Instagram, really digging in and deploying the resources to really become power users of the platform and understanding how other brands are using it. It’s putting yourself in the mindset of your audience and really trying to get a sense of what they’re engaging with. We find great successes relying on our younger team members, whether that’s people who are fresh in their career, whether that’s our interns who are fresh out of college, to really understand that specific audience. Alex: So, if the majority of them are on Instagram, focus on becoming a power user of Instagram and knowing that backwards and forwards, rather than distracting yourself with Facebook, Snapchat, and LinkedIn. On the B2B side, are larger ticket packages, such as season tickets for all 81 home games, going to be promoted more on the corporate side? Greg: Yes, it’s funny, we are actually launching a new initiative this week. It will be geared towards our corporate customers. It’s a program we are calling B to B, Brave to Business. What it is, we are going to be having monthly networking happy hour gathering. We are really pulling together our current, corporate ticket holders. It’s really getting these people into a room and really igniting networking. Alex: If you could tell us, from your perspective, going forward five years what’s the biggest social ad platform? I would rather market to get the behavior than the demographics. I think because they have all that data, I think they’re going to continue to find ways to monetize that.